Courtesy Olly Moss and A.M.P.A.S. That is the question. 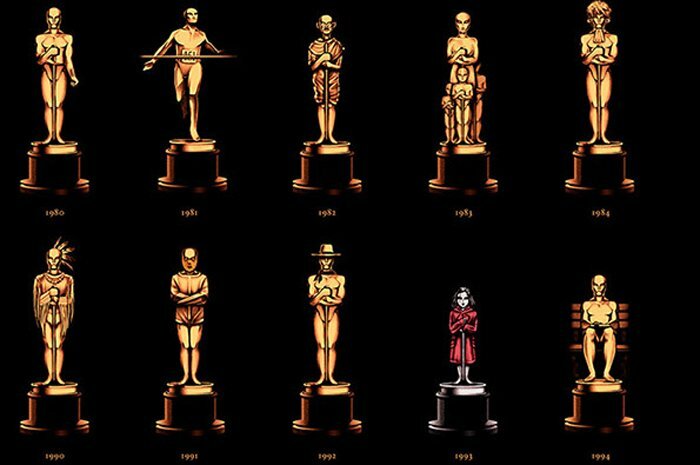 Just “Who is Oscar?” Does the gold statue represent the people in the film industry or should the winners reflect the public’s interests? And “Whose Oscar is it?” The select few whose names are at the top of the credits or the thousands of people who work on these movies? Watch the 2016 Oscar Nominations. We asked filmmakers, writers and festival directors to tell us who they think should have been nominated for an Academy Award this year. Here is the list of nominations. We will post their responses as they come in and bring them all together next week. Here are the first batch sent to us. Please post your reactions and thoughts on our Facebook page. Inevitably with only 5 slots open for most categories there will be some very worthy films and talent that are overlooked. This year was a rich year, so the problem of surfeit award-worthy films was even more pronounced. What’s most unfortunate, though maybe inevitable, is what appears to be the direct correlation between the amount of money a distributor has to spend on buzz-building campaigns, and the resulting list of nominees. Straight Outta Compton should have been on there for Best Picture. The Martian was so-so, but I was surprised that Ridley Scott was not nominated. I would for sure call it a snub. Oscar Isaac in Ex Machina was good and he could have gotten a best supporting actor nom. And no mention of Daisy Ridley from The Force Awakens as being snubbed. She carried that film and should have gotten a best supporting actor nom. Sylvester Stallone but not Michael B. Jordan? So, who was Creed about, an old, slow white guy from Philly? Idris Elba nowhere in sight, unless you count Netflix ads for Beasts of No Nation. Straight Outta Compton? Not exactly the screener that . . .ummm, mature Academy voters bring out to share with poker cronies. Spike Lee? Maybe no one could pronounce Chi-Raq. 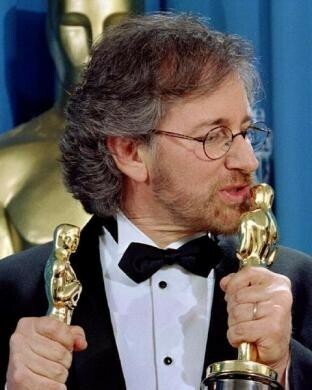 In any case, he just got an honorary Oscar. . . in November, at one of those ceremonies that happen way, way off-stage. Check out his speech, every last minute of it. Sheila Benson has a lot more to say at Critic Quality Feed. The Academy of Motion Picture Arts and Sciences is, at this point, probably more (in)famous for its omissions and oversights than it is celebrated for its recognition of genuine artistic excellence. That its collective membership has habitualized the practice of checking art in the rearview mirror of commerce, from 1928 on, seems lost on no one. Ginger Rogers in Kitty Foyle over Bette Davis in The Letter, Katherine Hepburn in The Philadelphia Story and Joan Fontaine in Rebecca? Yul Brynner in The King and I over James Dean in Giant and Laurence Olivier in Richard III? John G. Avildsen for Rocky over Alan J. Pakula for All the President’s Men…with no recognition at all for Martin Scorsese for Taxi Driver? And then there’s the parlor game of choosing the worst Best Picture winner…which can potentially go on for hours, because there’s not exactly a shortage of candidates. 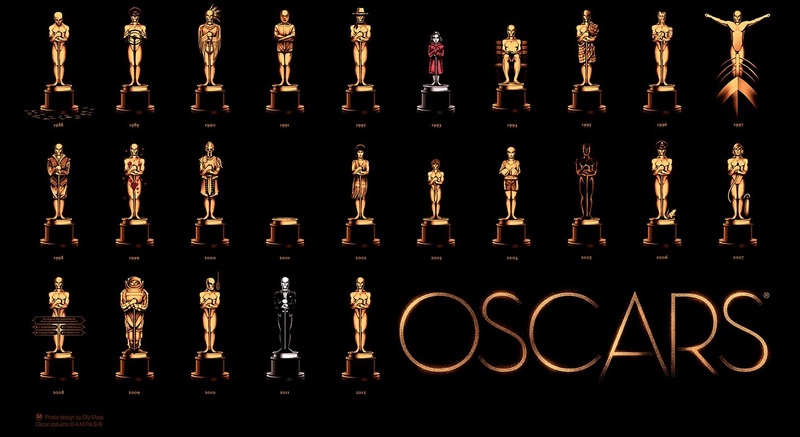 However, there is an omission this year, by both the DGA and the Academy, which leaves me speechless. Bridge of Spies is beautifully constructed on paper, and it is immaculately shot, acted, mixed, and so on. But is it really possible that Steven Spielberg’s direction of that film is of a lesser order than Tom McCarthy’s direction of Spotlight or Adam McKay’s direction of The Big Short? The opening wordless scenes with Mark Rylance’s Soviet spy, and the first moments in particular, of Abel painting a self-portrait in his Brooklyn studio…the beautifully rhythmed negotiations in low-lit New York bars and restaurants…the brilliantly imagined downing of Francis Gary Powers’ U2 spy plane…the carefully wrought arc of the film that leads inevitably and without any impediment to the exchange of Powers for Abel on the bridge… Can we really follow the Academy voters’ lead and either write it all off to a good team effort, or perhaps consign it to a lesser order than that achieved in Mad Max’s turbo-charged trek across the desert and back or The Big Short’s shaggy rendering of the Michael Lewis book? If you had to wager which of those three films will be most fondly remembered and returned to in 20 years, would you really put your money on those two and not on Bridge of Spies? And when you find yourself watching that film again, will you really be thinking, “Great movie, but not quite as well directed as Spotlight or The Revenant?” I doubt it. And then, returning to the aforementioned art/business fusion, how about the fact that this is the guy that directed Jaws, Close Encounters of the Third Kind, Raiders of the Lost Ark, E.T. and Jurassic Park, who all but minted money for the film industry, not for years but for decades… But of course, that doesn’t count. Because it’s all about artistic excellence. Right? Not that it really matters one iota. 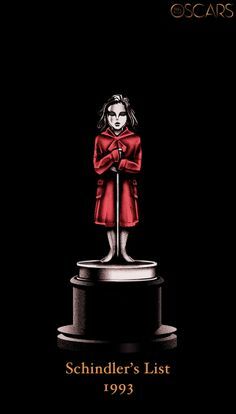 Prizes, fellowships, and other Recognitions of Outstanding Achievement are always going to be checked and balanced by institutions preoccupied above all else with their ongoing self-preservation. In the matter of the Oscar nominations and how they’re doled out, that’s always been crystal clear. However, even those of us who expect nothing from the Academy were genuinely shocked by this particular omission. I recently made the acquaintance of the filmmaker Michael Almereyda. He made an unusual three minute piece for my film What is Cinema, based on his ideas of what cinema was, and most of it took place on a tennis court. I’ve admired Almereyda since his pixelvision days and his film of Hamlet – where “To be or not to be” is set in a busy video store, giving Ethan Hawke as Hamlet many choices to consider. He’s made a lot of films, recently Cymbeline, also with Ethan Hawke, and Experimenter, a portrait of the controversial sociologist Stanley Milgram – played quietly and intensely by Peter Sarsgaard. Manola Dargis put Experimenter among her top films of the year. It came and went quickly, and I feel it’s missing from the Oscar nominations. I haven’t spoken to Almereyda in six months or so. He works quickly and economically and I assume he’s made a few more films in that period. Maybe one of his new films will show up for next year’s Oscars. At another time Experimenter would be called “quirky.” But, as we’ve seen, with recent films like Royal Budapest Hotel and others, quirky today can mean a smart, fascinating film which uses style as a way of telling a deeper story. I think Experimenter does this, an early Sixties story with an intentionally spare period style with significant moments that are very contemporary, an important cinematic statement about conventionality and free expression. And—— how did Ridley Scott and Todd Haynes not get nominated? This entry was posted in Film: Interviews, Films and tagged Academy Awards, Academy of Motion Pictures, Films, Oscars. Bookmark the permalink.